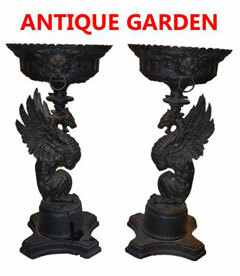 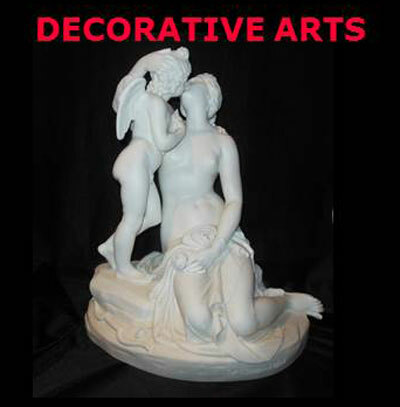 Featuring Garden Furnishings both Vintage (Salterini ) and Antique (Cast Iron) Also, American Furniture both Classical & Victorian style, with a large selection of Antique Gas Chandeliers, & Lamps (Sinumbra's, Argands, Astrals, & Aesthetic Lighting) & accessories emphasising Epergnes, & Parian. 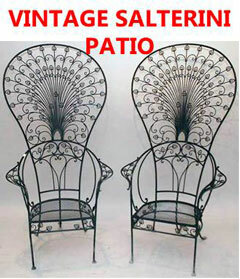 The vintage garden inventory has an emphasis on the wrought iron furniture of John Salterini Also in inventory is the furniture of Woodard, Molla & Florentine Craftsman. 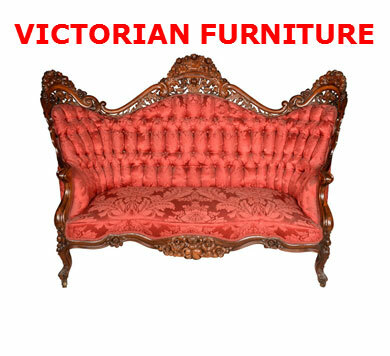 We specialize in Rococo Revival Furniture by John Henry Belter, our inventory of his pieces includes, Tables, Love Seats, Chairs, Tete a Tete's & Etageres. 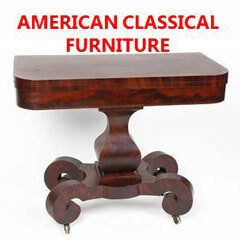 Also in inventory is the Rococo Furniture of Meeks & Roux, in Cabinets, Armoire & Secretary. 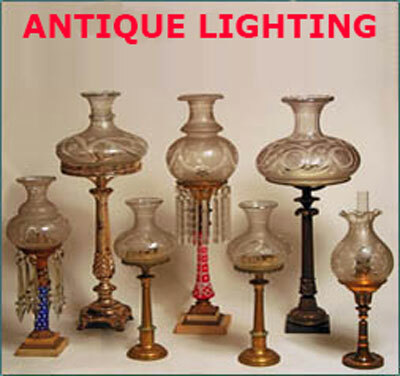 Antique Lighting, specializing in Gas Chandeliers, Aesthetic lamps, Astral, Argand & Sinumbra lamps.